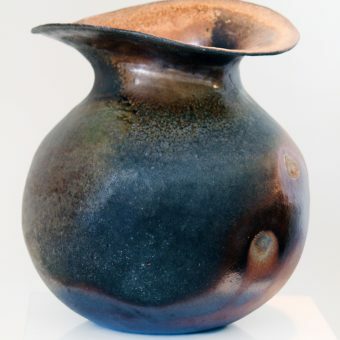 which allows the material to become more moldable and provides a distinctive texture similar to burnished pottery found in some Native American traditions. She finds the intimacy in hand building much more satisfying, and views the wheel more of a interrupter. In her opinion, “the more direct the connection, the better.” The shape of her pieces, taking cues from human forms, reference that essential interaction with the body. At the same time, Dziak’s larger forms tend to mimic nature. “It’s not a very literal translation,” she says. “It’s often the elements of things that I find moving on a deep, deep level.” She draws attention to natural aspects that are often overlooked, such as a seed. To Dziak, those little elements taken for granted deserve our respect. Dziak’s incredible finishes are also rooted in nature. “Sometimes, after I’ve built the piece, it’s so simple and dirt beautiful that to do anything else to it makes me a little sad,” she admits with a laugh. But firing is a necessary part of finishing pottery. 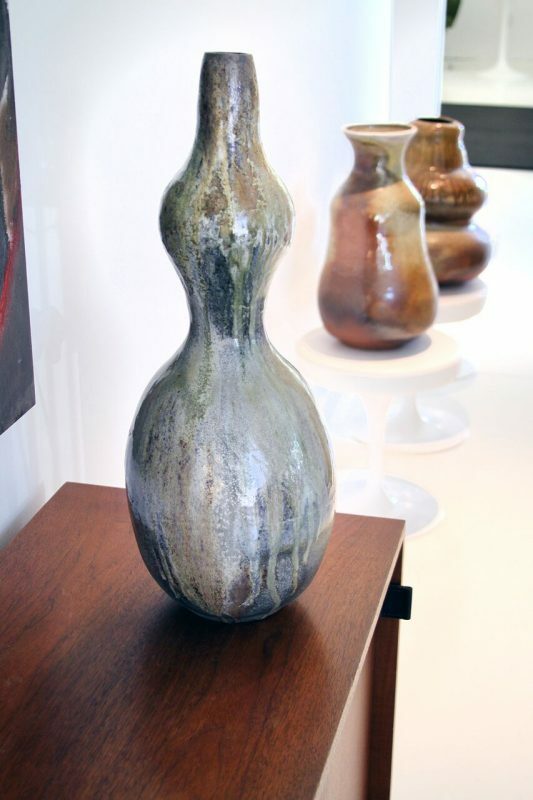 Sometimes she uses traditional Japanese glazes, such as celadon and tenmoku. Most of the time, she forgoes the typical glaze application and allows the wood fired ash to mark the piece. Dziak thinks about where the flame will interact with her pieces in the kiln. “It creates entirely unique things every time,” she says. The fire might touch one side more than the other, or treat the surface in a specific way based on the temperature variations. Dziak finds that unexpected results often become some of her favorite aspects of a piece. She describes it as “finding that edge between getting yourself out of the way and making some decisions of insight.” Surfaces become opportunities to allow materials and medium to speak through the artist. share their knowledge, experiment, or learn something new. 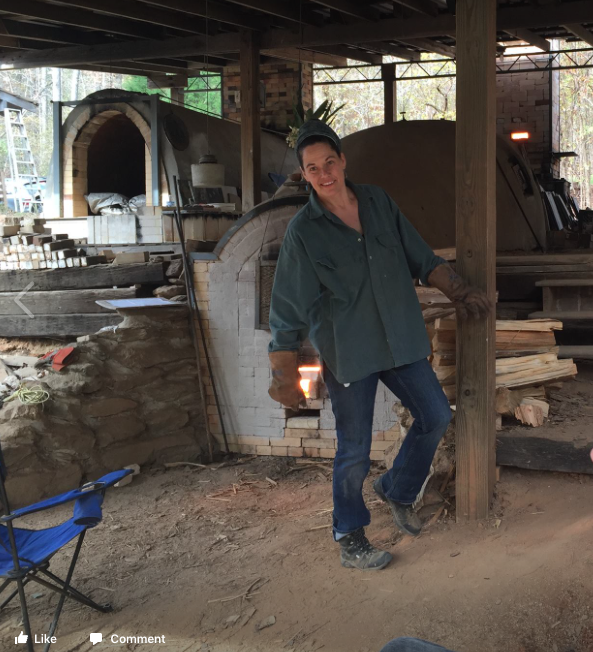 She characterizes the wood firing community as generous and welcoming. 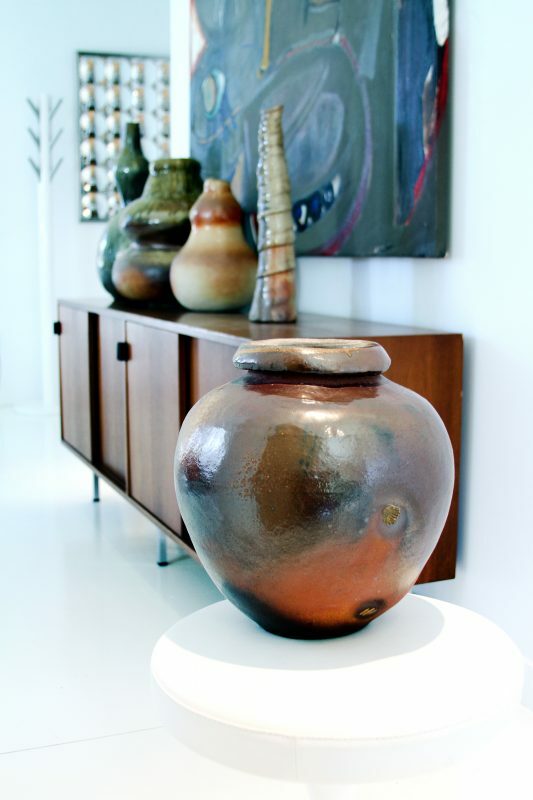 The utility of ceramics also informs her work. Influenced by the cultural practices around pottery making, Dziak observes those traditions while developing a style informed by her experience. 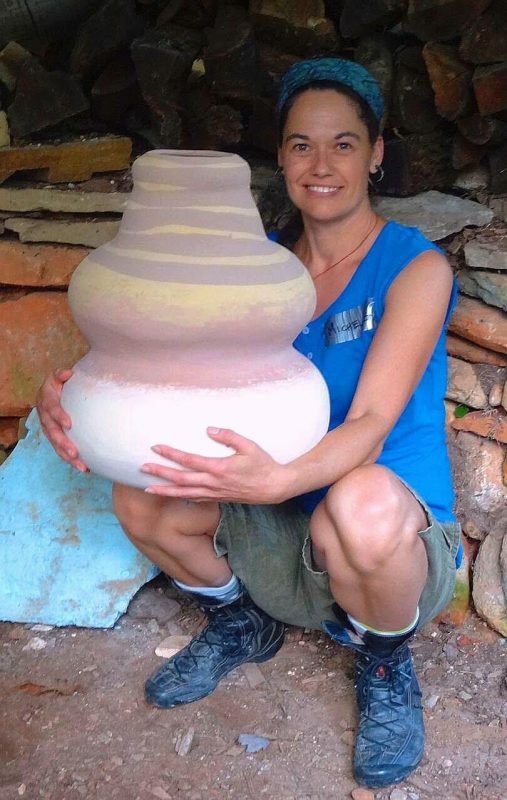 She talks about visiting a region of Nepal known for making pottery, and how the introduction of concrete fundamentally changed the way their pottery was designed and used. Being set in the earth, their pottery functioned perfectly well with a round bottom, until it needed a flat bottom to be utilized on concrete. While thinking deeply about functionality, Dziak sees ceramics as a way for humans to get in touch themselves. For her, ceramics is the ultimate meditation on the “basic properties” of humanity. In terms of chemical elements, humans are made of the same materials contained within Earth. Working on a mound of clay is a way of accessing and releasing energy. “There is no other way of connecting so intensely that I have found,” she says. This entry was posted in Inspiration Blog and tagged Atlanta artist, ceramics, collectable ceramics, hambidge gallery, handcrafted, large vessels, made in Georgia.